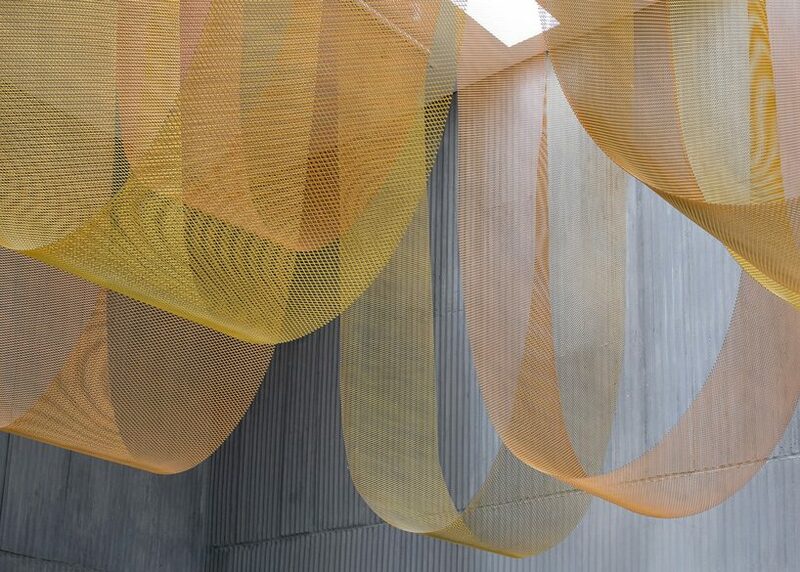 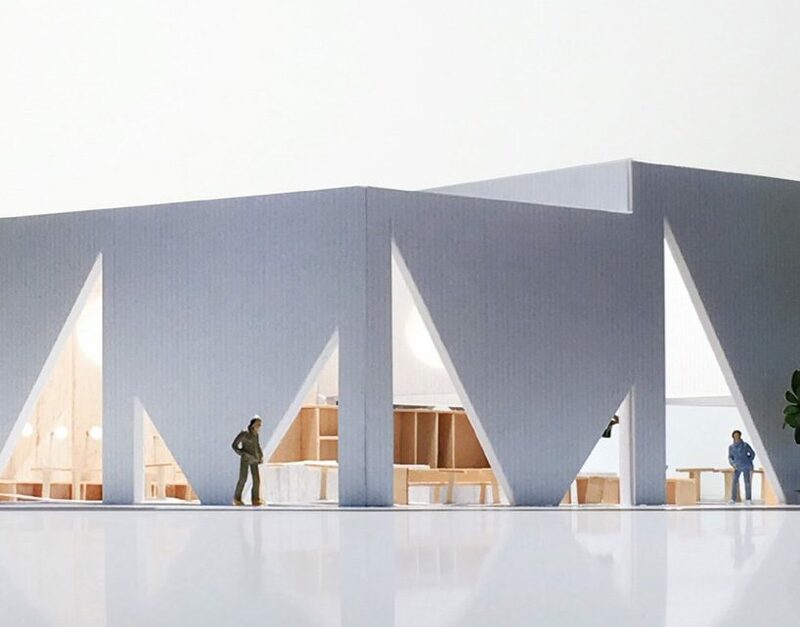 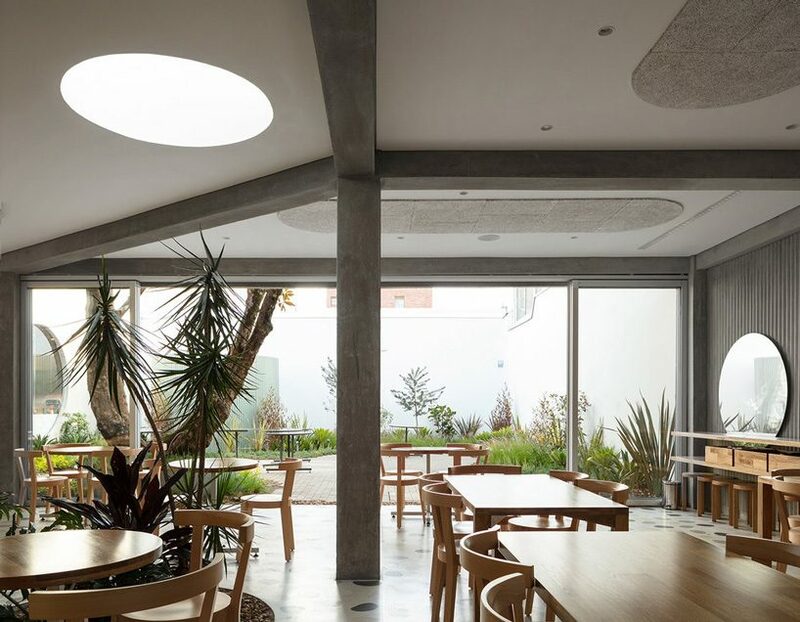 architecture in colombia features projects that range from social to residential to recreational, all diverse in form and material, responding to the different topography and temperature zones the equatorial country offers. 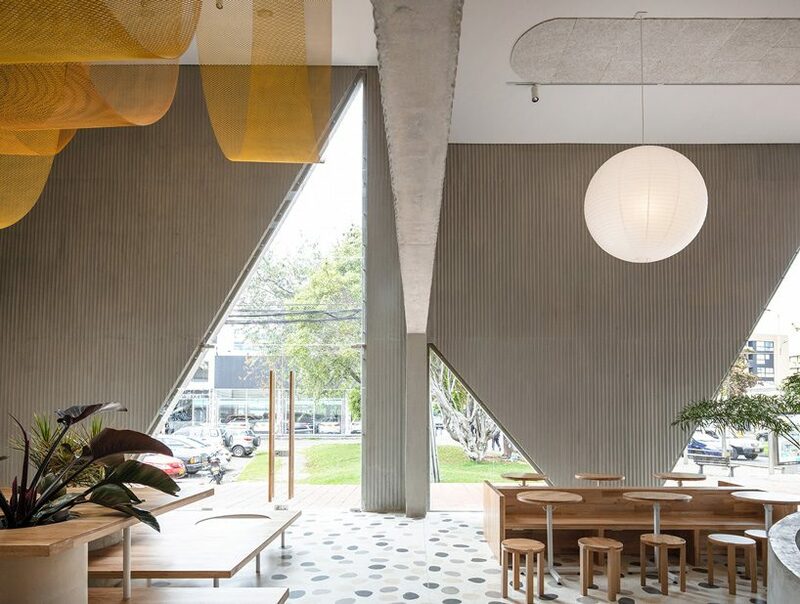 new york city-based studio cadena has designed masa, a new restaurant in a northern residential neighborhood of bogotá, colombia. 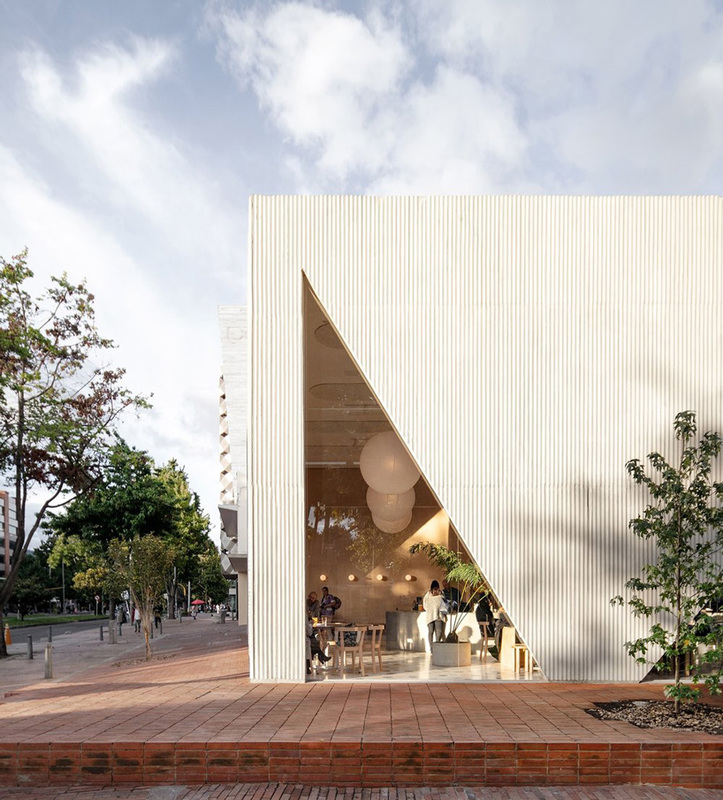 built on the site of a former house, the 697 sqm (7,500 sqf) structure is characterized in its exterior by geometric cutout windows which adds to the playful, graphic quality of the space’s indoor-outdoor language. 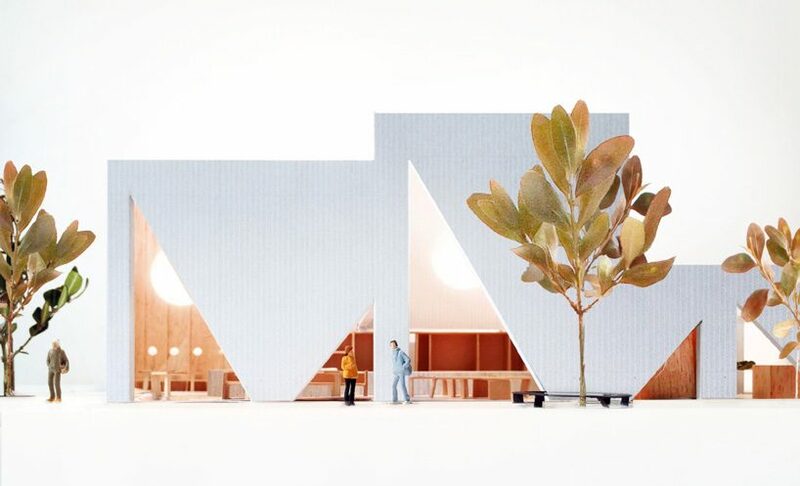 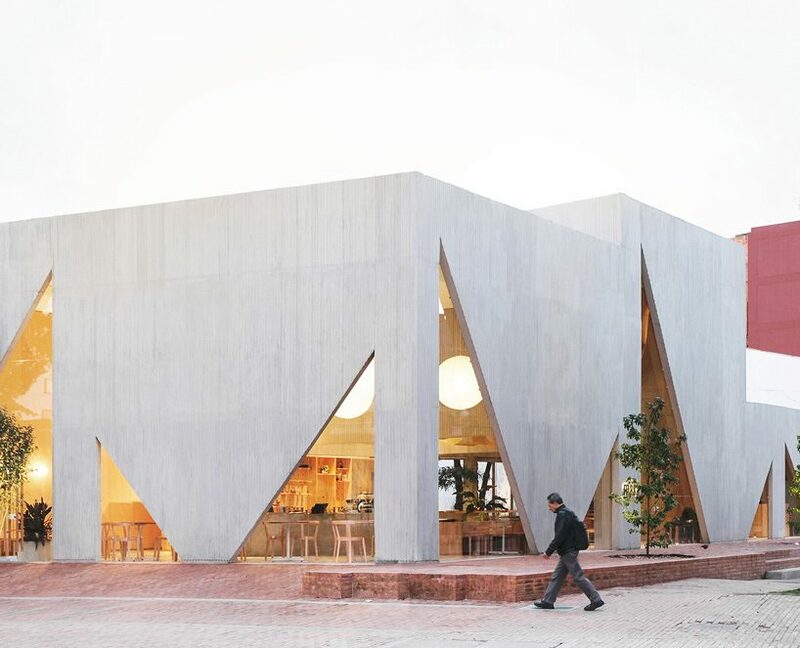 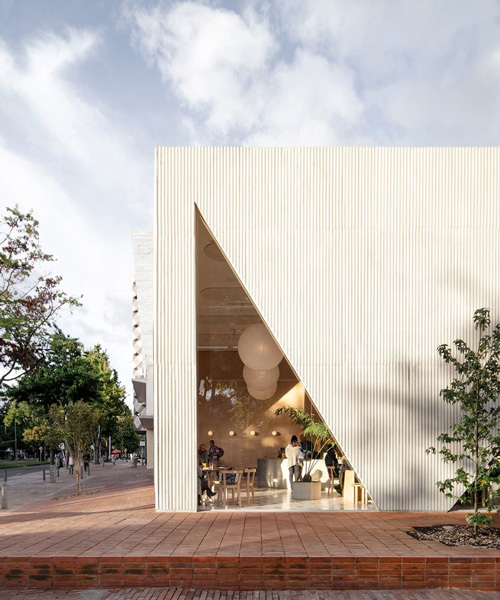 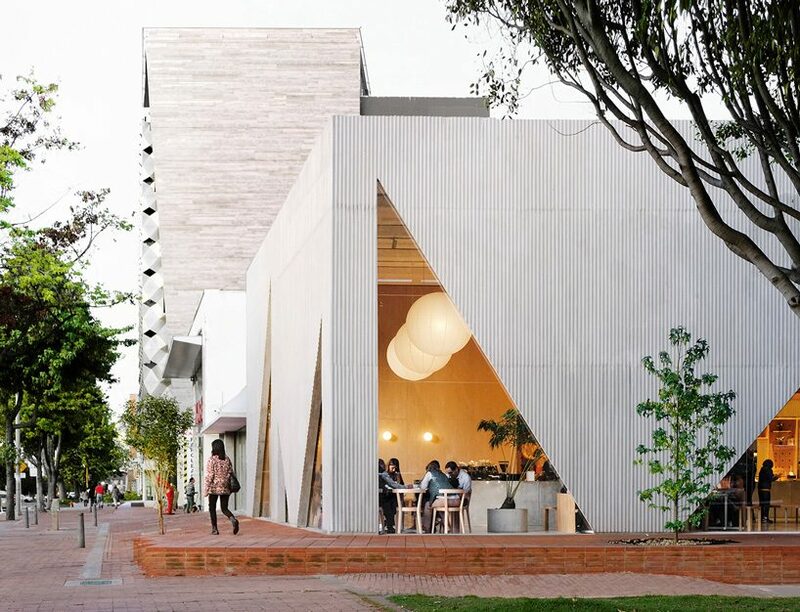 studio cadena has organized the restaurant as a grouping of distinct but interconnected volumes, with a cafe and bakery on one corner, a central entrance area, and a dining volume and separate retail space. 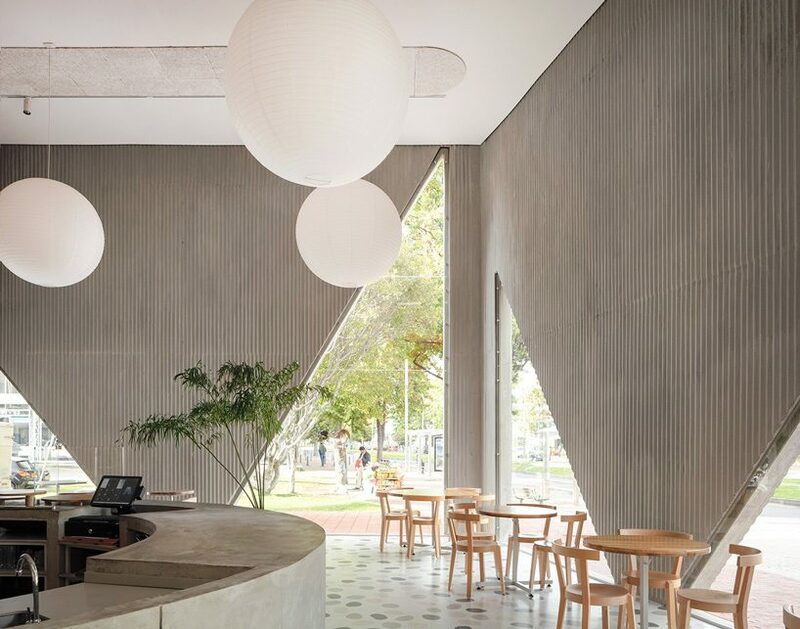 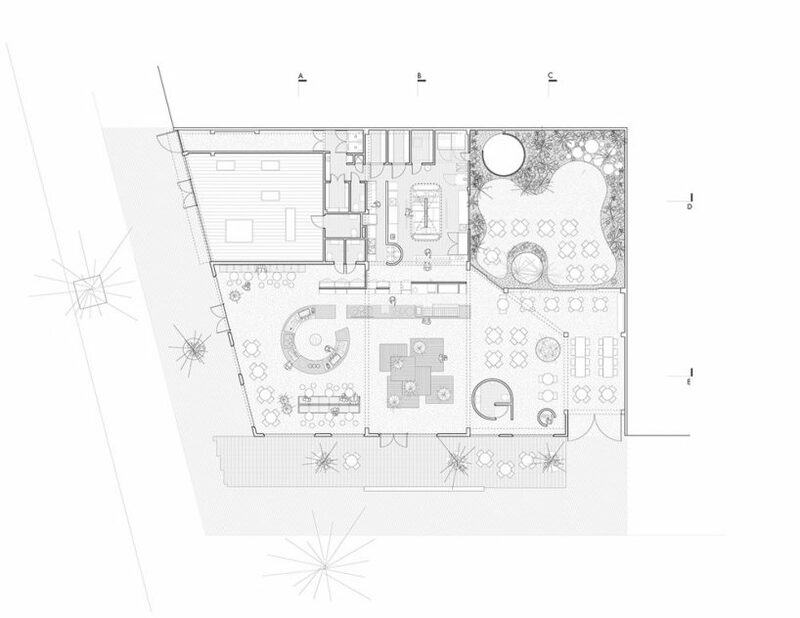 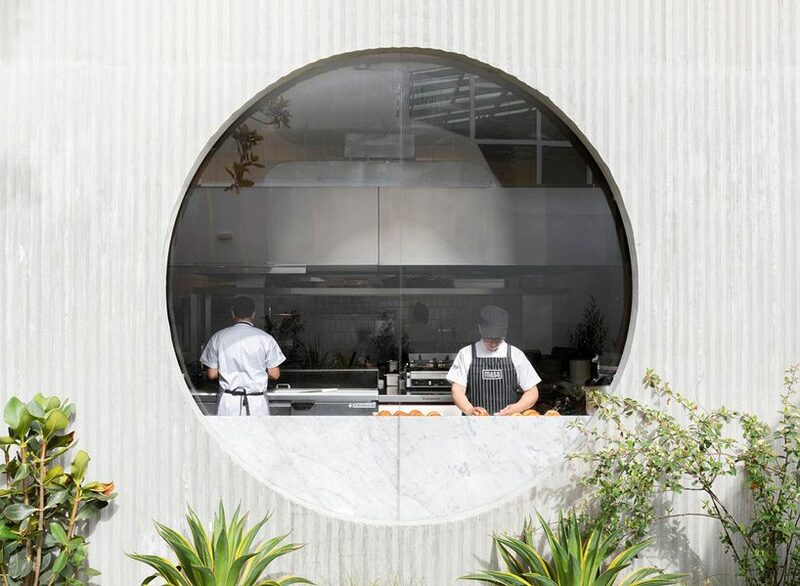 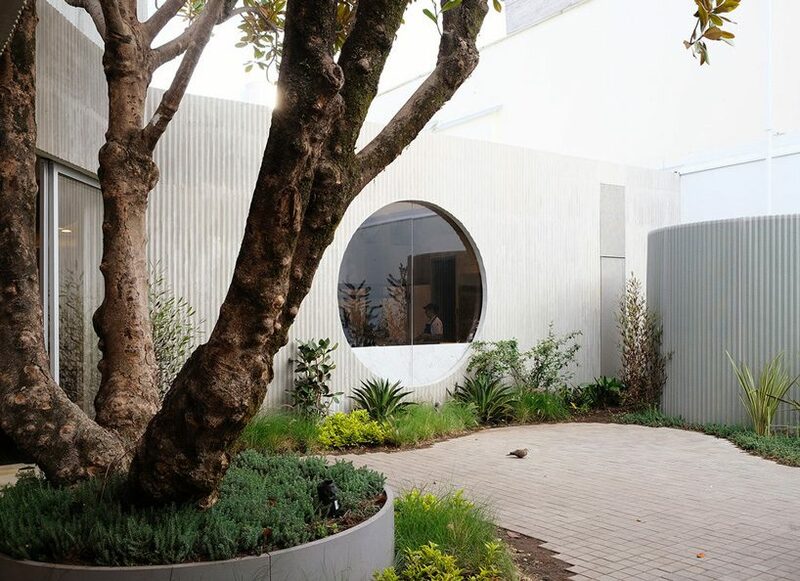 an outdoor patio space provides garden seating and connects the public spaces to the kitchen in the rear, while elements such as a long concrete bar, cylindrical wood-clad service station, and a multi-tiered seating platform at the entrance serve to modulate the space. 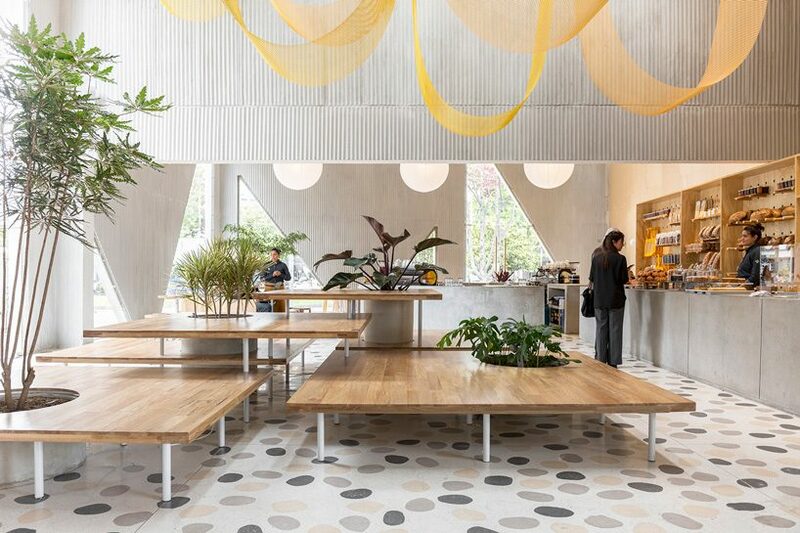 the playfulness of the geometric windows continues in the custom-made surfaces, fixtures, and furniture, and sculptural lighting designs serve to distinguish the different volumes – large paper globes light the corner café, while hand-painted metal mesh hung from the ceiling catches the natural light in the middle volume. 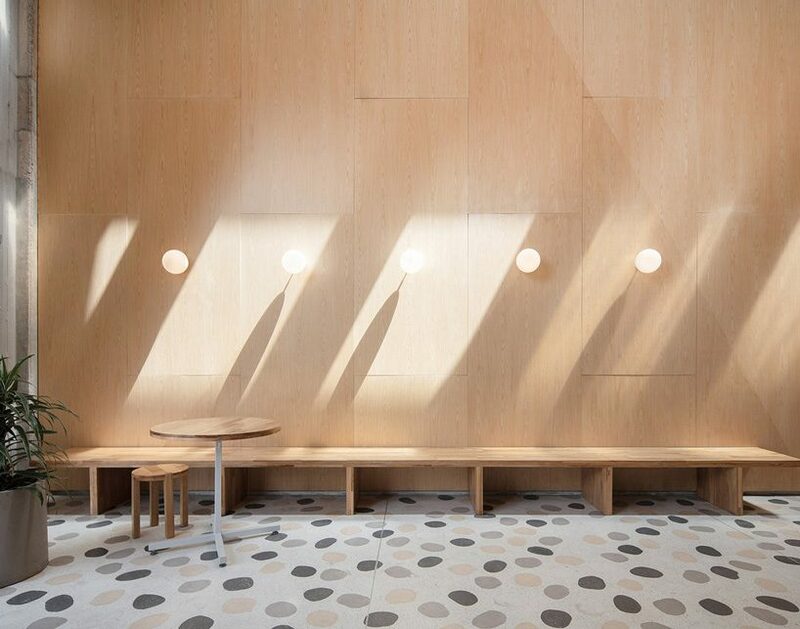 the walls are made of textured, cast-in-place concrete, combined with large terrazzo tiles on the floor.